Look years younger in minutes. It targets those areas of the skin which have lost elasticity, giving your skin a toned and lifted appearance in minutes! Applied topically under makeup, it completely changes the texture of the skin enhancing the natural firmness & tone you had years ago. ProLift MD is manufactured in an FDA registered, GMP-compliant facility that incorporates an on-site laboratory and testing facility. 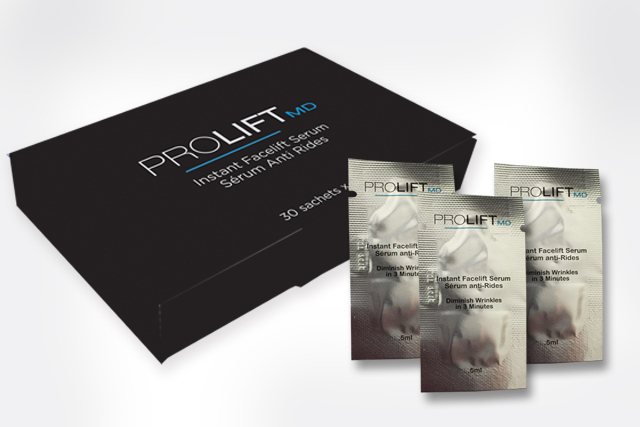 Prolift MD contains collagen and peptides in the most advanced skin firming formulation available in the world today. I'm 48, but I look (and feel) like I'm 35 again! As a part of your daily skincare routine, ProliftMD penetrates the sub-dermal layers of the skin, instantly contracting the skin cells and drawing them closer together. Long term solution for great looking skin! An exclusive formula that utilizes a proprietary blend of antioxidants including Retinol (vitamin A) vitamins B1, B2, B6, E. As well as minerals such as chromium, copper and zinc which immediately help NOURISH, REPAIR and PROTECT your skin from the effects of aging, all while you sleep. Instant and Long-term results! Enjoy the best of both worlds. We strive to provide our clients with innovative products using the highest quality ingredients.